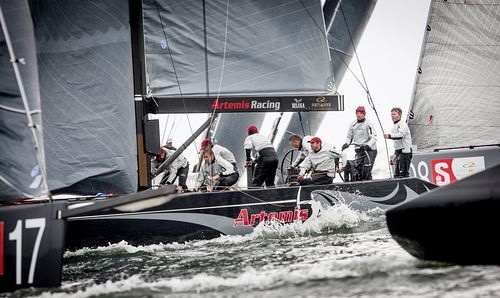 19 July, Marstrand, Sweden: Artemis Racing were quick to show the fleet the way as fleet racing at the RC44 Sweden Cup got underway in Marstand. With Torbjorn Tornqvist (SWE) at the helm and Morgan Larson (USA) calling the shots, Artemis Racing opened the day with a win. 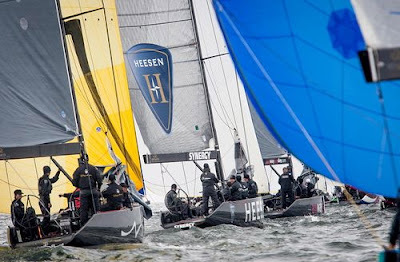 They picked the left hand side of the course, came in on the port layline, led at the top mark and then extended away from the fleet. 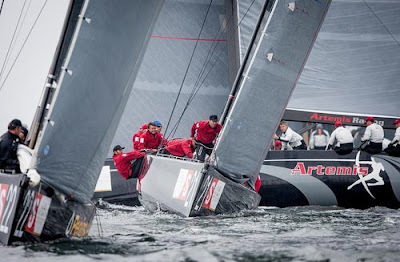 By the finish they were over 300m ahead of their nearest rival AEZ from Austria. Artemis Racing were struggling to make in-roads into the fleet. At the leeward gate the leaders all tacked over to the right hand-side, Artemis back in seventh headed out to the left with RUS 7 and Team Nika. The trio picked up more wind and leapt into the lead at the second windward mark. 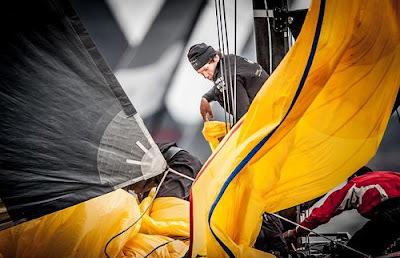 Artemis heaped the pressure on the RUS7, but the Russian’s held their nerve to take the gun, Artemis finished second with early leaders Synergy dropping back to sixth. 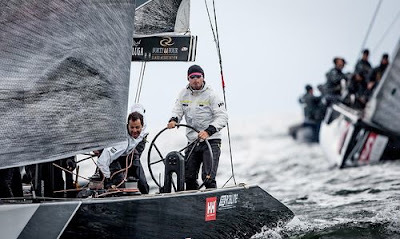 The final race of the day was unusual in that it finished upwind close to Marstrand Island. Aqua led from start to finish coming into the top mark on the port layline, just ahead of No Way Back and Aleph. With a little space to play with the defending RC44 Tour Champions kept a safe distance between themselves and the competition, the win taking them up to second on the leaderboard after three races, five-points adrift of Artemis Racing who finished the final race in third. 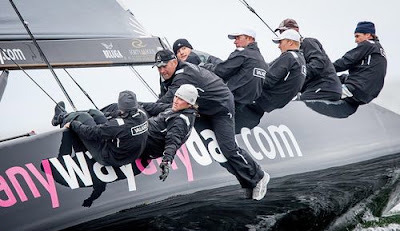 The battle for the 2012 Championship is between Artemis Racing and Team Aqua this year, although Russia’s Katusha are still in with a shot.